The reality is that real time messaging, whether it’s Slack or WhatsApp, is incredibly distracting, and it’s wreaking havoc on our productivity. How much of your potential goes unrealized because you are continuously interrupted every time you try to get work done? The real question is how can we reclaim our time and attention and make technology work for us, not against us? What’s the problem with real time messaging? 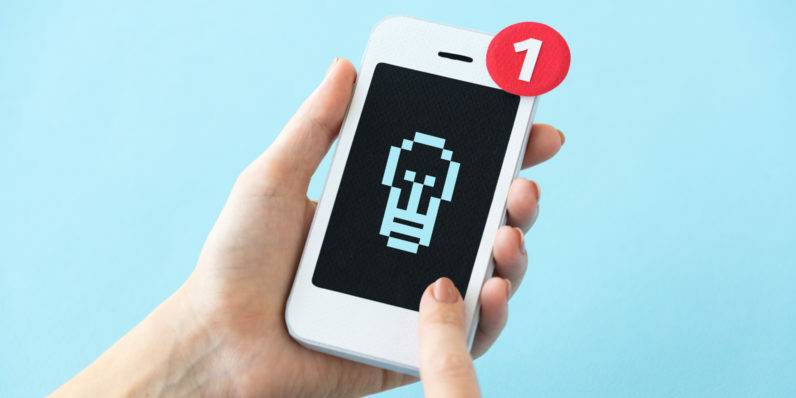 You might be wondering “What’s so bad about real-time messaging?” Sure, you know that you should be checking your phone so often… But what’s the issue with chat apps that are meant to increase your productivity? They are addictive. Real time messaging apps are designed in a way that tries to maximize the time spent inside the app. For example, Slack users spend an average of 10 hours per day in the app, and two hours per day actively using it. But should people be spending two hours per day on a chat app? They are distracting. According to Gloria Mark, a leader in the field of “interruption science,” “the average knowledge worker switches tasks every three minutes, and, once distracted, a worker takes nearly a half-hour to resume the original task.” Real time chats keep you in a constant state of distraction because quick replies are expected. How much does your productivity suffer because of this? They prevent you from realizing your full potential. Think about how much more you could accomplish if only you stay focused on the work in front of you. Whatever it is that you’d be able to do more of it, and your career progress would be much faster. Is that dopamine rush of a new message really worth it in the long run? I don’t think so. Workplace real time messaging was all the rage not so long ago when everyone was worshipping real time communication, but now more and more people are becoming disillusioned by it. Luckily, there’s a better solution for workplace communication, something that allows you to get work done while still staying on top of everything. “Evidently, not all technology is distracting or addictive, and there is a way to get back control and focus. Being always online does not make us more productive. Teams doing work that requires focus or creativity can get a lot more done and push work forward if everyone can control when and how they get information. And it must be relevant, meaningful and discoverable.” – says Aurelija Urbonaviciute, organizational psychologist and co-founder of Tipi. That’s where asynchronous communication comes in. Think about email. Someone sends you a message, that message is stored in your inbox, and you can read it and reply to it at a time that is convenient for you. There’s no expectation to always be “on” and respond within minutes. You can focus on the work at hand and check it at the end of the day. All you need to do to have some peace and quiet is to turn the notifications off! Sounds good, right? The email was invented in 1972 and back then nobody thought that we will work in virtual distributed teams. Nobody thought we will be bombarded with notifications and flooded with information that is not always relevant. Naturally, email wasn’t created with an intention to structure vast amounts of information, make it discoverable and accessible for teams. It was not created to help us get only relevant and prioritized according to the important information. This is the reason why people are in search for new tools that would fit today’s world of distraction better. Simple. Use asynchronous communication apps. There are plenty of them out there – from free options like Tipi to paid ones like Basecamp. Whatever you choose, you’ll be better off than using real time messaging, and your productivity will increase as you will get back time for deep focus. I know that it might be hard to make the transition from real time messaging to asynchronous communication. There’s a reason why real time chats are so addictive. A little bit of social interaction here and there really does brighten your day. But if you take a look at the big picture, is it really worth it? Chatting is a very superficial form of communication that is equivalent to junk food. When you eat junk food, you feel satiated, but your body is starving for nutrients. When you chat with people online, you feel social, but you don’t experience that meaningful connection that you crave. So how about focusing on work when you work so that you could then be social in your free time? Life is short. Don’t waste your time on things that don’t add real value to it. Will you regret not spending more time on Slack? You know that you won’t. But what you might regret is all the unfulfilled potential. Don’t wait for that to happen. Start focusing on what matters.